The RACC will be holding elections for 2017 officers at the November 2016 club meeting. If you are willing to serve, please respond with an email to newsletter@raccradio.org stating which office you would like to be nominated. If you would like to nominate someone for an office, please be at the meeting! The RACC club meeting is held every 3rd Saturday of the month. Show up at 8:30am and have a pancake breakfast while visiting with other area hams. The meeting starts at 9:00am and usually lasts around an hour. The breakfast and club meeting is open to everyone. 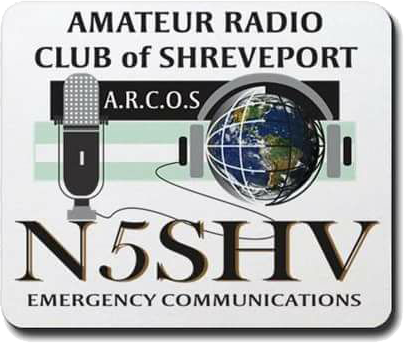 Members of the Atlanta Rabbits Amateur Radio Club will set up an HF station at the Arkansas-Louisiana-Texas junction to work the special event station. All contacts made will receive a commemorative QSL card. The cards will be on hand for amateur radio operators who stop by the station for a visit. The annual SKYWARN ™ Recognition Day (SRD) will be held this year on Saturday, December 3, 2016. This is the day when Amateur Radio operators visit National Weather Service (NWS) offices and contact other operators around the world. The purpose of the event is to recognize the vital public service contributions that Amateur Radio operators make during National Weather Service severe weather warning operations. It also strengthens the bond between Amateur Radio operators and the local National Weather Service. The event is co-sponsored by ARRL and the National Weather Service. Please remember that this is not a contest, so no scoring will be computed. This very popular event is held in December and draws participants, including dealers, from surrounding states and has gotten bigger each year. There is plenty to see and do for everyone, including testing sessions, great food, door prizes, and main prizes that any ham would love to win. This event provides a "hamfest fix" in a period of the year during which few hamfests are held. Please join us for the RACC Christmas Party held on Saturday, December 17, 2016 at 6:30pm at the Champions Bible Church in Atlanta, Texas. The plans for the Christmas Party have completely changed due to scheduling conflicts. Please update your calendars! RSVP via email to newsletter@raccradio.org or on the club's facebook page. Winter Field Day Association (WFDA) is a dedicated group of Amateur Radio Operators who believe that emergency communications in a winter environment is just as important as the preparations and practice that is done each summer but with some additional unique operational concerns. Clarence Shilling WB5BYV will be giving a CW Introduction Course in Atlanta. What better way to use your newfound skills than with a 40m CW Transceiver that you built yourself? The cost is only $25 for the radio kit and the MFJ CW Morse Key. We'll meet after the RACC January February monthly club meeting and have a party assembling the kits. It shouldn't take us longer than an hour and a half, and we'll serve chips and sandwiches for lunch. The radio kits are fixed frequency on 7030KHz, which is within the technician class band on 40 meters, so all licensed hams are invited and encouraged to attend. No soldering skills are necessary! If you don't know how to solder, we'll teach you! June 24 and 25 is quickly approaching! Anybody know what that is? Field Day of course! Are you ready? This year the Radio Amateurs of Cass County will be joining the Four States Amateur Radio Club at Spring Lake Park. RT Systems has donated programming kits for the First and Second Prizes. Satellite Sam will be awarding a drone to the youngest ham at the hamfest. Thanks Sam. And many more prizes given away hourly. Free Catfish + Drink + All the trimmings! Lunch served at noon. Everyone is welcome, and donations accepted! SWAPMEET: Bring your own tables and chairs! There is nothing to buy! The annual Ham Radio Day at the Main Trading Company in Paris, TX runs from 8am to 2pm (tailgating starts earlier). Prizes, Food, Fun, Tailgating,Music and more! 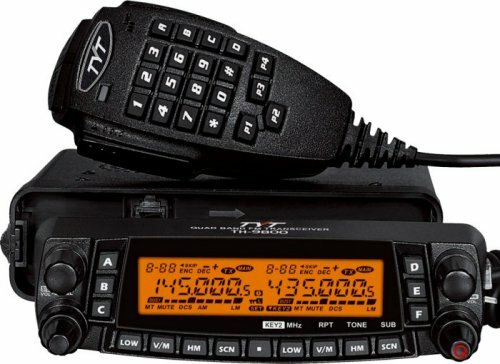 Thousands of Brand New Radios in Stock at the best deal in the land! The annual SKYWARN ™ Recognition Day (SRD) will be held this year on Saturday, December 2, 2017. This is the day when Amateur Radio operators visit National Weather Service (NWS) offices and contact other operators around the world. The purpose of the event is to recognize the vital public service contributions that Amateur Radio operators make during National Weather Service severe weather warning operations. It also strengthens the bond between Amateur Radio operators and the local National Weather Service. The event is co-sponsored by ARRL and the National Weather Service. Please remember that this is not a contest, so no scoring will be computed. Please join us for the 2017 RACC Christmas Party held at the Luigi's Italian Restaurant in Atlanta, Texas on Saturday, December 16, 2017 at 6:00pm. We need an approximate head count, so please R.S.V.P. by replying to this email or check "going" on facebook. Please bring an unwrapped toy for the Toys-4-Tots Toy Drive. This party will be "open menu," so please bring appropriate funds for your meal. Hope to see you there, and MERRY CHRISTMAS! Tropical Storm Harvey is quickly approaching Texas shores in the Gulf of Mexico. 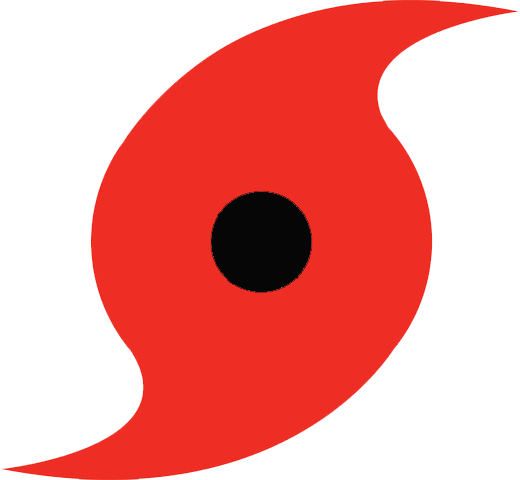 A hurricane warning has been issued for a portion of the Texas coast, from north of Port Mansfield to Matagorda, including the city of Corpus Christi. Harvey should be making landfall sometime Friday night as a hurricane (August 25). They are predicting this hurricane can dump as much as 20 inches of rain in it's path! This month's door prize drawings are for a TYT TH-9800 Quad-Band mobile transceiver and Baofeng Dual-Band HT. Every person receives one complimentary ticket when they walk in the door. Additional tickets can be purchased for $1/ea to increase chances of winning. SKYWARN Basic and Advanced Spotter Training 6:30p - 9:30p. There will be a Fly In held at the Atlanta Airport on Saturday beginning at 9:30am. RACC club members have been asked to help, if available. Please show up early, if possible. The Four States Amateur Radio Club and the Radio Amateurs of Cass County are teaming up this year for Field Day at the North Shore at Lake Wright-Patman.